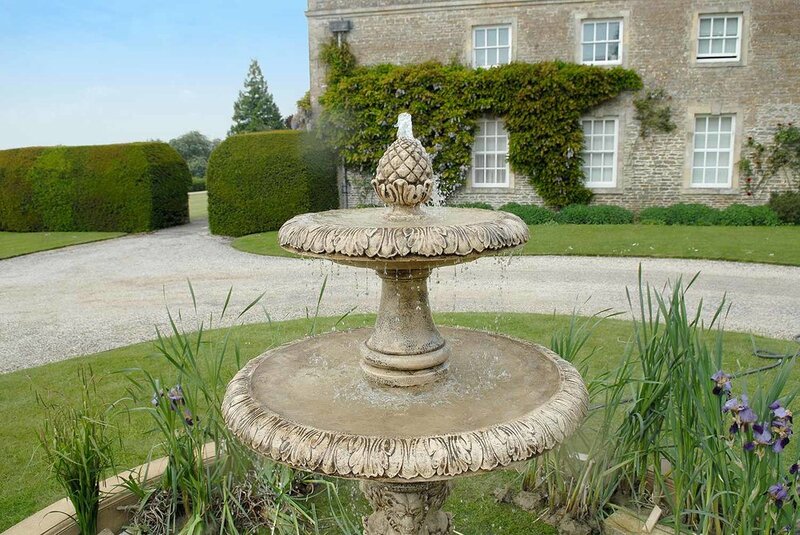 This elegant two/three tiered fountain displays two/three reconstituted stone dishes decorated with water leaves, surmounted by a delicately carved pineapple. The base showcases three intricately decorated lions. Available with plain or decorative surround. 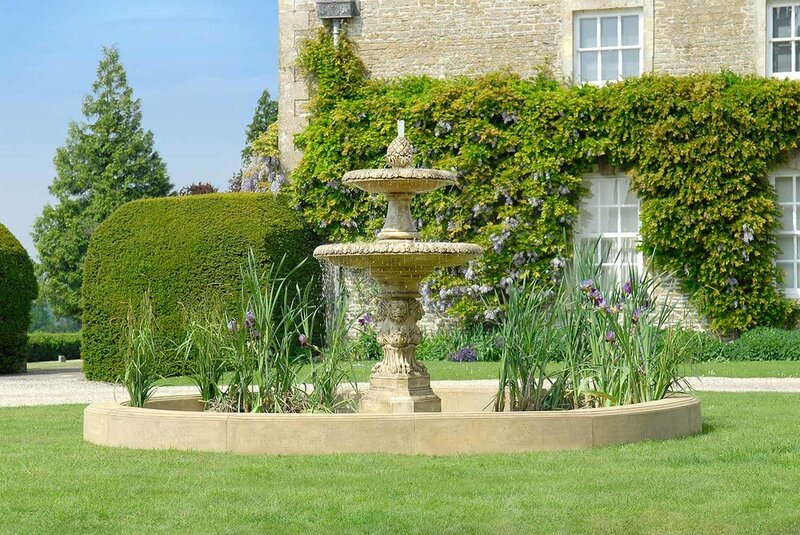 At 8ft high with a circular surround of 14ft it will be an exceptionally striking ornament in any garden. Upper bowl: 91cm (3' 3") diameter. Lower bowl: 130cm (4' 3") diameter. Surround wall: 23cm (9") high. Small: 365cm (11' 12") external, 300cm (10') internal. Large: 427cm (14') external, 365cm (11' 12") internal. 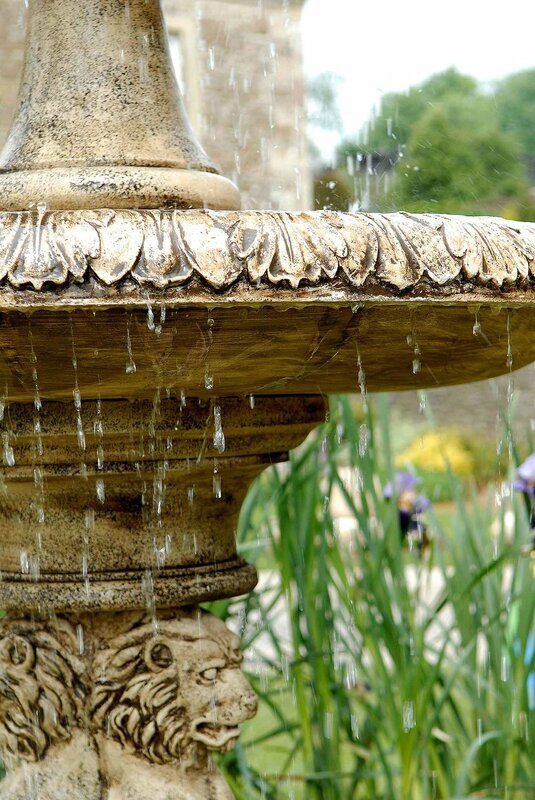 At over 13ft high with a circular surround of 24ft it will be an exceptionally striking ornament in any garden. Fountain: 411cm (13' 6") high. Middle bowl: 130cm (4' 3") diameter. Lower bowl: 214cm (10' 3") diameter. Surround wall: 33cm (1' 1") high.